Diane Dooley was born in the Channel Islands and grew up in Scotland. After many years of moving and traveling she finally settled down in Upstate New York where the summers are short and the winters just might kill you. She lives with her best friend/husband and two obstreperous boy children in a falling-down farmhouse in the sticks. 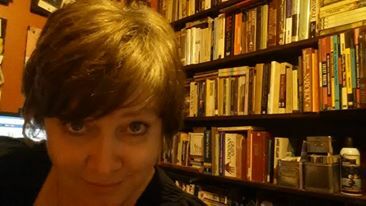 She writes short stories and novellas in a variety of genres and has been published in a variety of online and print publications, as well as by several digital-first publishing houses. You can find her on Facebook, Twitter and her blog. DOOLEY: I was a voracious reader as a child (still am!) and loved to steal my mum’s romance novels when she wasn’t looking. So I’ve been a romance reader since I grew out of Enid Blyton 🙂 Science Fiction came a little later, aged about ten or so. The combination of two of my favorite genres is irresistible. The appeal of both is the same: oh, the possibilities! DOOLEY: I’m not the kind of reader who needs to like the hero or heroine of a book, but they DO have to be interesting. I think I’m the same as an author. Some of my characters are likeable, some aren’t. What I really hope is that none of them are dull. SGLSF: Do you have a specific writing routine or a favorite location to write in? DOOLEY: I have a wonderful home office my husband created for me. It’s lined with bookshelves that are stuffed with all my keepers. There’s a stained glass window to cut down on the sun that blazes through one of the windows. The most recent addition is a treadmill. I need to remind myself to break from the computer to move around, and the treadmill lets me incorporate a little exercise into my busy schedule. My writing routine is quite haphazard, fitting it in around work and family. 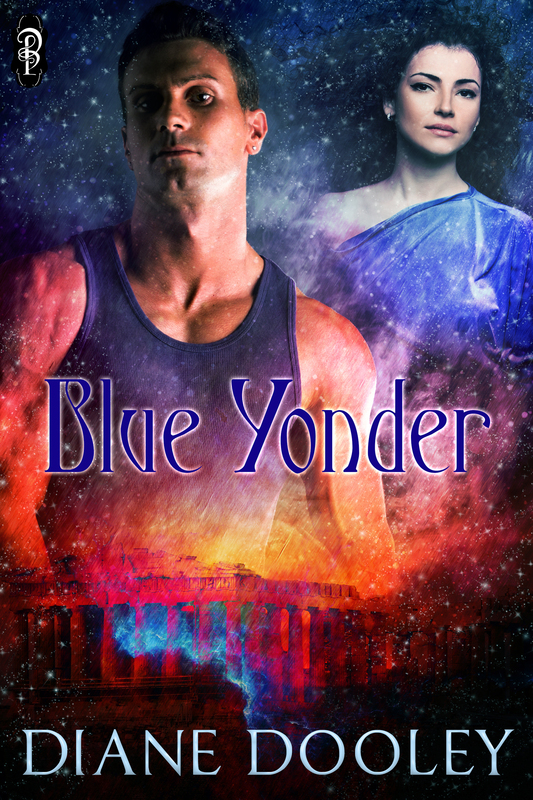 DOOLEY: My latest release is Blue Yonder, a science fiction romance story set on the eve of the end of the world. My current writing project is putting the finishing touches to a gothic suspense novella. Next on the to-do list are a couple of short story ideas demanding to be written. SGLSF: Could you tell us a bit about your work with the SFR Quarterly and the SFR Brigade? DOOLEY: Sure. I’ve been with the Science Fiction Romance Brigade for years now. I helped set up the discussion group and the fanpage on FaceBook, and I’ve been an admin for both for quite some time, alongside an excellent team. 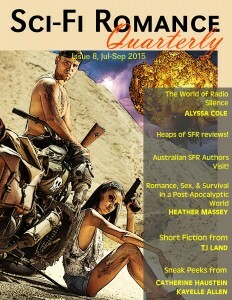 I’m the Fiction Editor for the Sci-Fi Romance Quarterly. When I was approached by KS Augustin, the Chief Editor, I said I wanted to provide a market for science fiction romance in the short form. The Quarterly has allowed me to do that. Along with Heather Massey of The Galaxy Express, the Quarterly team has been working together for two years and are looking forward to Issue 9. SGLSF: If you had a superpower, what would it be? DOOLEY: Instantaneous transportation. I live in a rural area and spend way too much time driving. I’d also love to be able to travel all over the world without having to get on a plane. Thanks so much for visiting with us!